1. Who inspired you to become a performer? George Carlin, John Leguizamo, and seeing “Phantom of the Opera” at 9 years old. 2. Who is the one person you haven’t worked with that you would like to? The Situation, we seriously need to do a buddy cop movie together. 3. If you could perform alongside anyone, who would it be? Martin Short, he’d be the perfect person to play my dad. 4. Do you have any strange or unusual talent that no one knows about? I’m really good at NFL2K3 on Xbox. 5. Starbucks or Dunkin’ Donuts? What do you order? Definitely Starbucks, I’m a vegan, and Starbucks lets me order my Grande Decaf Soy Cinnamon Dulce Latte. 6. Favorite meal? Arroz Con Frijoles y Platanos, my Ecuadorian half controls my taste buds. 7. Favorite way to stay in shape? I have a really fast metabolism, so I try to eat anything vegan I can to stay alive. 10. Superman or Wonder Woman? Wonder Woman because she’s the one with the lasso, does anyone know where I can get one of those? 11. If you could dream about anyone while you sleep, who would it be? Gordon from Sesame Street, he has a calming effect on me. 12. What’s the best advice you’ve ever received? Anything that comes out my girlfriend/ director Leah Benavides’ mouth. She’s the life behind My Broken Brain and my partner in everything. Today I saw “My Broken Brain” at the NYC Fringe Festival. 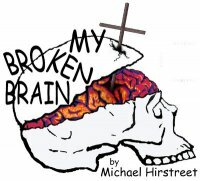 Written and performed by Michael Hirstreet and directed by Leah Benavides, “My Broken Brain” tells Michael’s coming of age story as he struggles to fit in. From falling in love with the wrong girl to straying from his best friend JC, to having his brain explode, literally, Michael has lived. Using multi-media effects in addition to his acting, Michael engages the audience from the moment the show starts. He takes us on his journey of growing up in New Jersey with the struggles to fit in to being diagnosed with an arteriovenous malformation (AVM), after his first brain explosion. AVM is a condition in the brain resulting from an abnormal connection between the arteries and the veins in the brain. Today I saw Freed Purple Monkey Theatrics and The Stage Reperotry Company’s production of “A Matter of Choice” at the NYC Fringe Festival. Written by Chad Beckim and co-produced and co-directed Alicia Dempster and T.R. Burtt, Jr , “A Matter of Choice” tells the story of three friends who must decide what do when they get a letter from the MTA telling them they are being evicted from their apartment due to the 2nd Avenue Subway project. In different stages of their lives, these friends start to question where they are at, with the themselves and with each other. 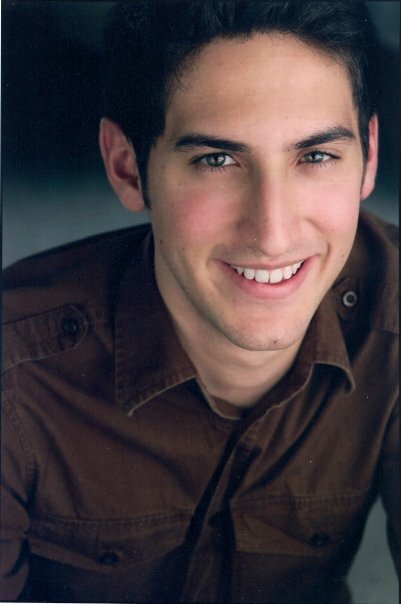 Jake Lemmenes plays “Webb” who must decide whether to continue to live with his friends or take the next step in his relationship with “Michael,” played by Nicholas Wilder. Divided between the love he has for his friends and the love he has for his boyfriend, “Webb” decision could cost him more than just his friends, it could cost him his life. Tom Woflson who plays “Diggs,” a guy who would rather avoid the responsibility life puts on you as you grow older than work through it and Ashley Marie Ortiz who plays the well-educated and responsible “Chasity.” “Diggs” has to figure out whether it’s time to grow up and find a new place to live or continue coasting by, high as can be, and possibly be homeless. With her stable job and head of the household attitude, “Chasity” has to decide where to go next…does she stay living with her brother “Diggs”, get a place of her own, or move back home with her parents. Rounding out the cast are Emily Edgerton as “Madison,” Amanda Kay McDonald as “Karen,” and Damlyr Shuford as “Boo.” These friends are interwoven throughout the show adding circumstances to each of the main characters choices as to what they should do. The cast works well together and the story is entertaining and thought-provoking. It makes one think, what would you do, if you got evicted? Would you be able to handle curve life has thrown at you or would you just crumble? To help figure things out, come take a trip to “A Matter of Choice” at the SoHo Playhouse at 15 Vandam Street (between 6th Ave & Varick) in NYC. Remaining performances are: Tue 8/17 at 10:15pm, Thur 8/19 at 7pm, Sat 8/21 at 2:15pm. As a 2010 Sir John Gielgud Fellow finalist and 2010 Mark Ockrent Fellowship nominee, Troy Miller is a director on the rise. In his senior year of high school, everything clicked for Troy when he directed his senior class production of Neil Simon’s “Lost In Yonkers.” After high school and college, Troy decided to attend Trinity Rep Conservatory to earn his Masters of Fine Arts in Directing where he got to direct a production of Craig Lucas’ “The Dying Gaul” which prompted then Artistic Director, Oskar Eustis to introduce Troy to Lucas. Shortly after, Troy joined the artistic team for the Tony Award winning Lincoln Center Production of “The Light In The Piazza” working closely with Craig Lucas as his assistant. 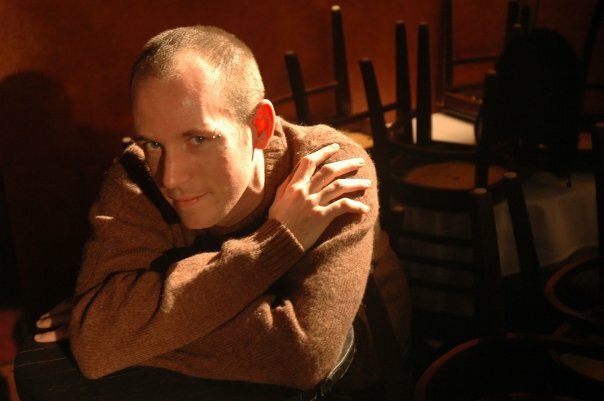 Troy’s other directing credits include “Horatio” at the 2007 NYC Fringe Festival, “Noises Off” with Festival 56, “Blithe Spirit” at Barnstormers, assistant director to Marion McClinton on “Roar” at The New Group, “Postcards From A Dead Dog” and “Our Lady Of The Sea” at Emerging Artists. Currently, Troy is directing “Together This Time” in the New York City Fringe Festival. Playing at the Lucille Lortel Theatre, showtimes are August 18 at 9:30pm, August 19 at 8:15pm, August 22 at 12pm, August 23 at 1pm, August 26 at 4:30pm. Tickets: $15 in advance, $18 at the door. For much more on Troy and his happenings, be sure to visit http://www.troymiller.org. 1. Who inspired you to become a director? I don’t know if it was a person specifically, but the idea of telling a story was something that always appealed to me. The running joke in my family was after I saw a movie they could expect me directing the neighborhood production within a few hours starring the neighborhood kids. I loved acting and dancing but when I was directing there were no words to describe what I was feeling. 2. Who is the one person you haven’t worked with that you would like to? I would very much like to work with Jane Krakowski. I adored her on Alley McBeal, on stage and the few times I have had the opportunity to speak with her. 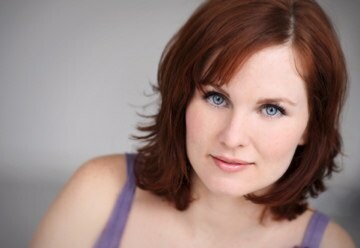 I think she is immensely talented and seems like she would be amazingly fun to work with. 3. If you could dream about anyone while you sleep, who would it be? As odd as this may sound, it would be being in rehearsal with James Dean and a young Marlon Brando. I have always admired their work and their style as performers. The idea of having a conversation with the two of them about the craft, their life and everything in between would be amazing. 4. What’s the best advice you’ve ever received? Trust. Trust the work that you have done. Trust that you have found the truth and let go. 5. Do you have any strange or unusual talent that no one knows about? Well, I can fold my legs into a pretzel without using my hands and walk on my knees. 6. Starbucks or Dunkin’ Donuts? What do you order? Depends on the purpose. Sitting and talking? Then Starbucks with a Vanilla Latte. Just grab and go, much prefer Dunkin’ Donuts regular coffee. 7. Favorite way to stay in shape? A combination of yoga and/or a long walk along the west side of Manhattan. Low impact. 9. Favorite website? My own of course! Seriously though, playbill.com and texts from last night. 10. Superman or Wonder Woman? The Man of Steel! 11. Favorite ride at an amusement park? Don’t know the name of any of them, but I really enjoy the ones that spin you around in every possible direction. Roller coasters are also right up there. 12. Favorite way to spend your day off? What’s a day off? I don’t believe I am familiar with that concept. 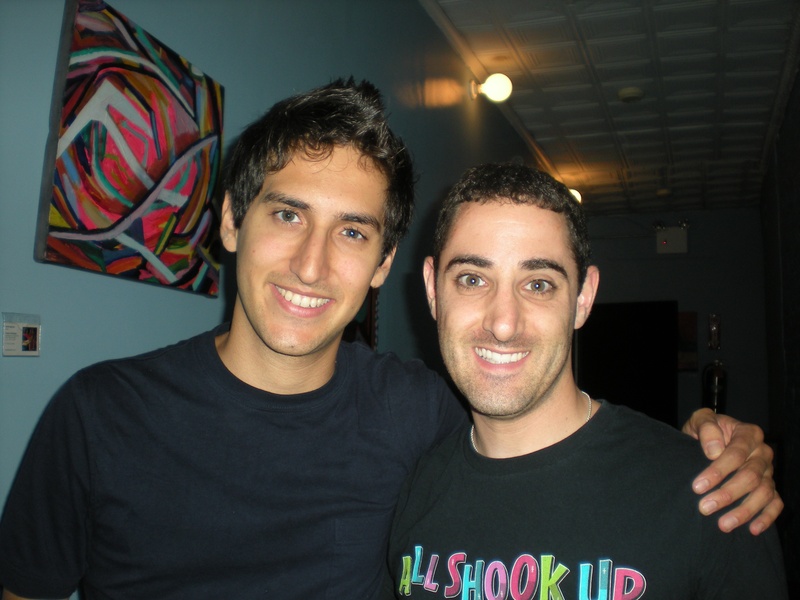 I went to see the NYC Fringe show “Vote!” about what one would do to win student body president. Amongst it’s stars are Bailey Hanks, Deidre Goodwin, and Morgan Karr. The cast as a whole is great, but these 3 actors know how to command the stage. From hitting the high notes to to giving just the right look, Bailey knows how to play it cool, but sneak it in where needed. The diversity that is Morgan Karr is one to be seen…from his amazingly wonderful voice to his good looks, Morgan knows how to keep you watching. If you look up stage presence in the dictionary, you should see Deidre Goodwin’s name next to it. This girl knows how to give the audience all she’s got! From her walk to her talk to her choreography, your eyes never turn away. You have one more chance to see these three strut their stuff…catch “Vote!” at the Minetta Lane Theatre Wednesday, August 26 at 5:30PM.